Our RAUSCH Style 8″ Steel Carbide Grit Double Sided Wheel can be used on RAUSCH L135 transporters. 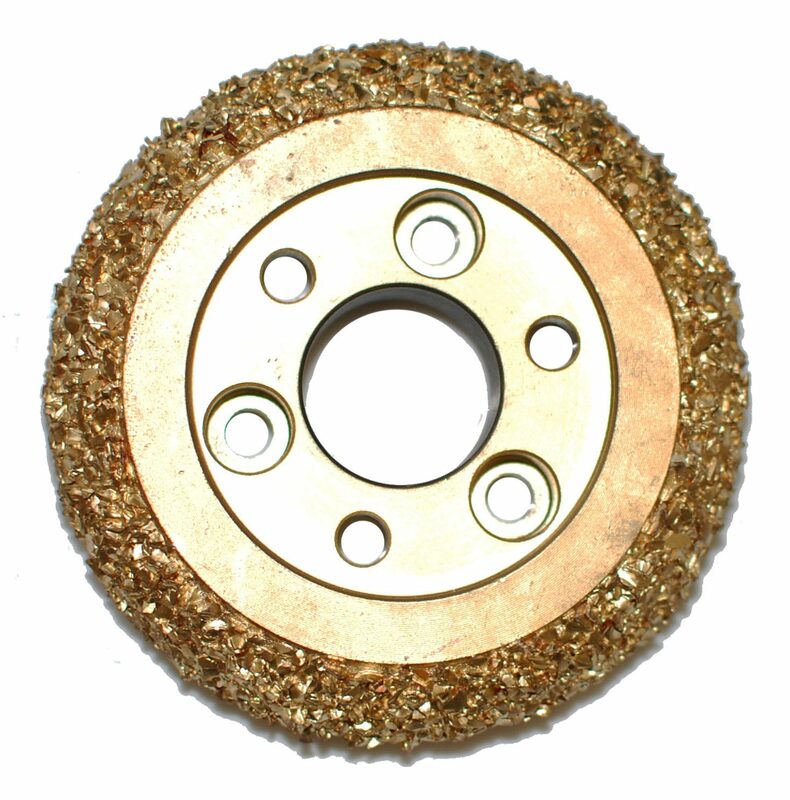 Both sides of the wheel contain grit, with a shallow axle recess. When one side wears out, simply flip it around and use the other side. The Rausch Style 8” Steel Carbide Grit Double Sided Wheel fits the Rausch Style Camera Transporter that inspects residential, commercial, municipal, and industrial sewer and drain pipes. 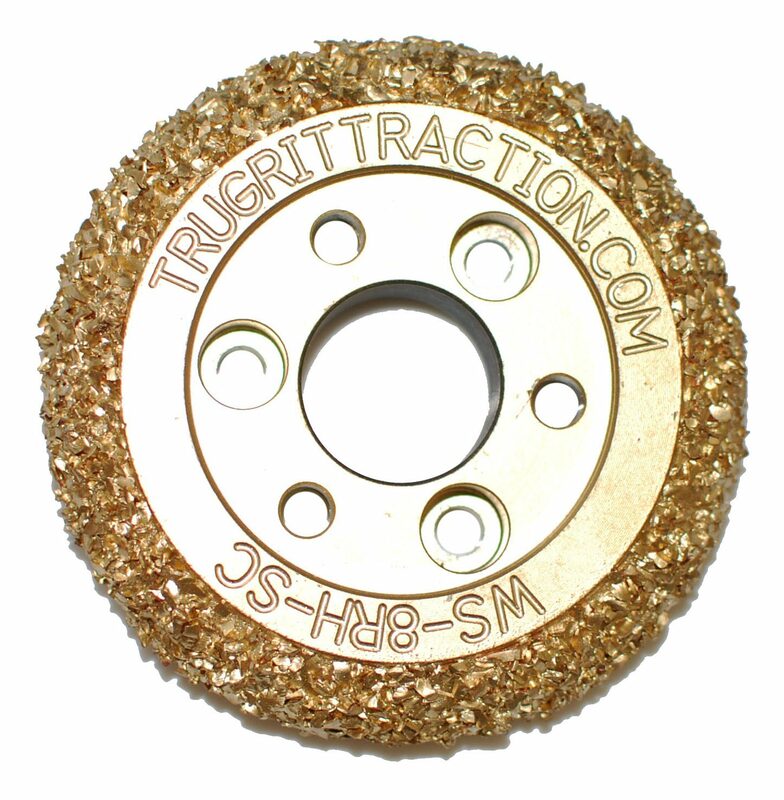 The Rausch Style 8” Steel Carbide Grit Double Sided Wheel is a highly-reliable wheel that will allow your transporter to stay in place while inspecting your clients’ pipelines. The wheel material is made of quality material that allows your transporter to move through a variety of pipe materials like concrete, iron, HDPE, PVC, and terracotta. At TruGrit, our customers can trust that we provide them with the most affordable options when it comes to replacing a part on their sewer camera transporter. The Rausch Style 8” Steel Carbide Grit Double Sided Wheel is the best wheel for your Rausch Style Camera Transporter because it made from lasting material that you can count on. This product pertains to: Sewer Crawler Wheels, Steel Carbide Grit Wheels, Rausch Style Camera Transporter Parts, Sewer and Drain Inspection Equipment, Residential Sewer Camera Transporter Equipment, Commercial Sewer Camera Inspection Parts, Municipal Sewer and Drain Transporter Replacement Parts, Trenchless Sewer Camera Inspection Parts, Drain Inspection Wheel Replacement, Sewer Transporter Wheel Replacement, Carbide Grit Wheels, Camera Transporter Parts, and Sewer Main Transporter Replacement Parts. UPON RECEIVING THIS SET QTY (4) 8" STEEL CARBIDE WHEELS FOR THE RAUSCH L135 SYSTEM, I WAS IMPRESSED BY THE QUALITY AND DURABILITY OF THE WHEELS. THESE WHEELS HAVE GREAT TRACTION DRIVING IN CLAY PIPE, PVC, AND CONCRETE. JUST HAVING THESE WHEELS ON OUR TRUCK HAS INCREASED THE PRODUCTIVITY FOR THE COMPANY THAT I WORK FOR BECAUSE WE ARE ABLE TO GET THROUGH PIPE FASTER THAT WOULD TYPICALLY BE A CHALLENGE TO DRIVE THE TRACTOR THROUGH. ALSO, THE GENTLEMEN THAT WE TALKED TO WHEN WE ORDERED THE WHEELS WAS REALLY PROFESSIONAL, RESOURCEFUL, AND HELPFUL. HE ALSO ASSISTED US IN PULLING THE ORDER OF OUR WHEELS RIGHT AWAY TO ENSURE A SPEEDY DELIVERY FOR US. HIGHLY RECOMMENDABLE PRODUCT AND SERVICE! TRY THEM OUT AND YOU WILL BE SATISFIED!